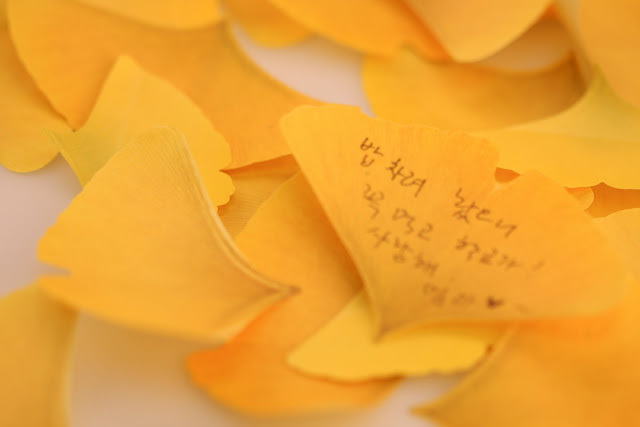 Recalling past memories everyone should try make bookmarks with dried leaves at least once as a child, we made the Sticky leaf. 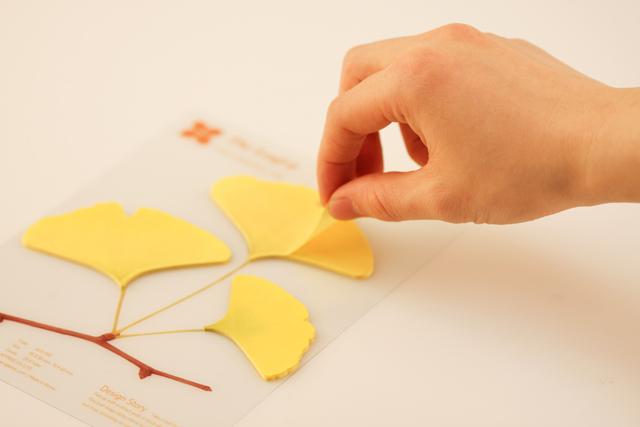 It can be used for decoration to refresh atmosphere as well as bookmarking and making some notes. *Ginkgo has been the host on Earth, they had lived with dinosaurs, that long. 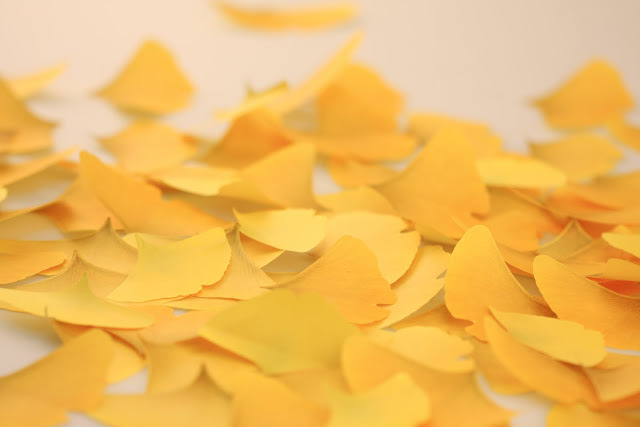 Ginkgo does not only have a thousand-long lifespan but it also reproduces extraordinarily. Cut any branch off down to ground then a bud would come out. 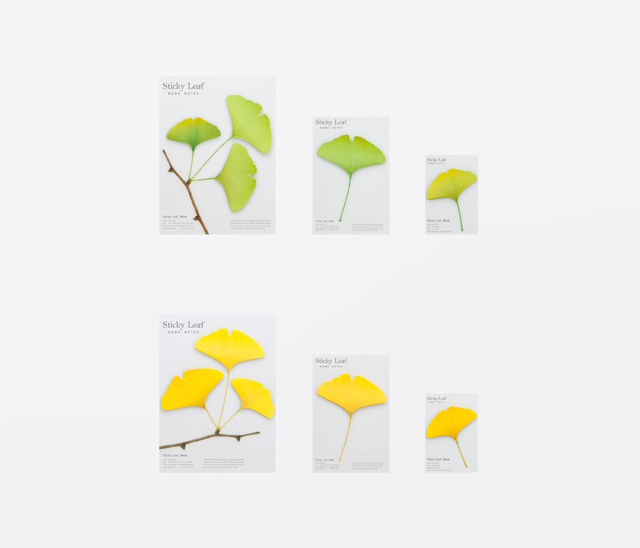 Ginkgo live a great age with grand volume. It’s called live fossil. 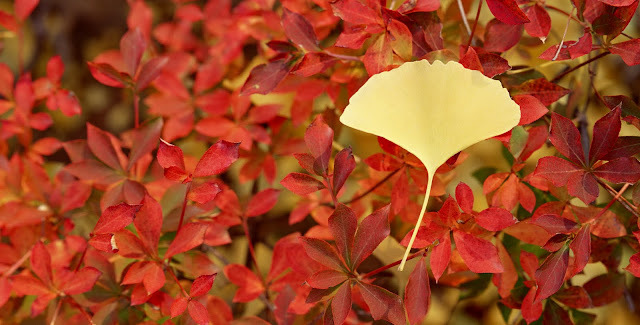 Korea, Japan, and China are well known areas where a ginkgo tree lives. It is composed of two version, green and yellow. Also it can be used the same way with general sticky notes.